Senn Dunn Insurance: Hurricane Preparedness: Are you Prepared? The National Oceanic and Atmospheric Administration's (NOAA) National Hurricane Center in Miami, Florida uses satellite imagery, radar, and weather balloons to spot conditions that could trigger a hurricane. 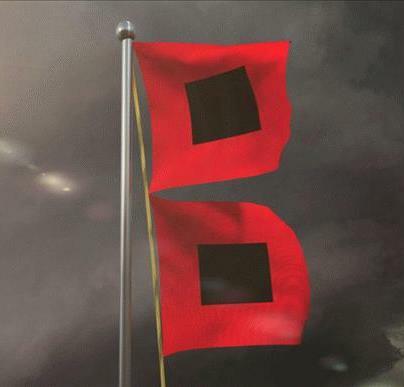 Usually, warnings allow sufficient time to prepare against hurricane damage and to make decisions for evacuation of personnel, if proper preparation had been taken at the beginning of the hurricane season. Use the checklists on the following pages to review essential steps in hurricane preparedness, response, and recovery. disaster recovery into consideration. If an EPP is already in place, review and update it as needed for hurricane readiness. o Designate an Emergency Coordinator and an EPP Team. Assign responsibility to specific employees for advance arrangements to initiate the plan. o Insure that your insurance carrier claims reporting information is up to date. o Brace outside storage tanks and outer structures. o Inspect all battery powered equipment and backup power. o Inspect sewers and drains. o Check all drainage pumps. o Inspect the roof and flashing for serviceability. o Check the landscaping; prune dead branches. o Have a supply of plastic or tarpaulins on hand ready to cover water-sensitive equipment. o Inspect roof drains and piping; are they clear of debris and fully functional? o Check floor drains and sumps; are they clear of debris and fully functional? o Check all storm water catch basins and grates to be sure they are clear of debris. o Be sure that roof flashing is secure. o Make sure that doors and windows will remain latched. o Protect windows from flying debris. o Walk the grounds; move objects inside that could become missiles in high winds. o Anchor any equipment stored outside that could be moved by high winds. o Move supplies stored outside to inside storage. o Assemble supplies for the emergency crews and for emergency repairs. o Protect vital records against flooding and wind. o Inspect fire protection equipment. o Top off fuel in the emergency generators ; test run. o Have remaining personnel take shelter. o Check the supply and serviceability of sandbags. o Patrol the facility continuously, as long as it is safe to do so. o Check for any damage to the structure. o Check for leaks and fire systems impairment. o Complete any emergency repairs that are possible and safe to perform. o Shut off any valves where pipes have been broken. o Watch for flooding. Use sandbags when necessary. o Watch for reverse winds after the eye of the storm has passed. They will affect different areas and perhaps break trees that had been blown in the other direction. o Conduct a roll call of all personnel on the premises. o Check for safety hazards (downed trees, branches, downed power wires, leaking gas, blocked roof drains, reptiles). o Make temporary repairs to protect the structure and supplies. o Photograph and document any damage. assistance. Visit www.senndunn.com to get detailed information on claim reporting. Category 1 Very dangerous winds will produce some damage - storms usually cause no significant structural damage to building structures; however, they can topple unanchored mobile homes, as well as uproot or snap trees. Poorly attached roof shingles or tiles can blow off. Coastal flooding and pier damage are often associated with Category 1 storms. Examples of storms of this intensity include: Hurricane Alice (1954), Danny (1985), Jerry (1989), Ismael (1995), Gaston (2004), Humberto (2007), Claudette (2003), Hanna (2008), and Barbara (2013). 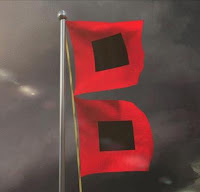 Category 2 Extremely dangerous winds will cause extensive damage - storms are strong enough that they can lift a house, and inflict damage upon poorly constructed doors and windows. Vegetation, poorly constructed signs, and piers can receive considerable damage. Mobile homes, whether anchored or not, are typically damaged, and many manufactured homes also suffer structural damage. Small craft in unprotected anchorages may break their moorings. Hurricanes that peaked at Category 2 intensity, and made landfall at that intensity, include Diana (1990), Erin (1995), Alma (1996), Marty (2003), Juan (2003), Dolly (2008), Alex (2010), Ernesto (2012), and Arthur (2014). Category 3 Devastating damage will occur - tropical cyclones and higher are described as major hurricanes in the Atlantic or Eastern Pacific basins. These storms can cause some structural damage to small residences and utility buildings, particularly those of wood frame or manufactured materials with minor curtain wall failures. Buildings that lack a solid foundation, such as mobile homes, are usually destroyed, and gable-end roofs are peeled off. Manufactured homes usually sustain severe and irreparable damage. Flooding near the coast destroys smaller structures, while larger structures are struck by floating debris. Additionally, terrain may be flooded well inland. Examples of storms of this intensity include Carol (1954), Alma (1966), Alicia (1983), Fran (1996), Isidore (2002), Jeanne (2004), Lane (2006), Bertha (2008), and Karl (2010) . Category 4 Catastrophic damage will occur - hurricanes tend to produce more extensive curtain wall failures, with some complete roof structural failure on small residences. Heavy, irreparable damage and near complete destruction of gas station canopies and other wide span overhang type structures are common. Mobile and manufactured homes are leveled. These storms cause extensive beach erosion, while terrain may be flooded far inland. The Galveston Hurricane of 1900, the deadliest natural disaster to hit the United States, peaked at an intensity that corresponds to a modern-day Category 4 storm. Other examples of storms at this intensity are Hazel (1954), Carmen (1974), Iniki (1992), Luis (1995), Iris (2001), Charley (2004), and Dennis (2005). Category 5 Catastrophic damage will occur - is the highest category a tropical cyclone can obtain in the Saffir-Simpson scale. These storms cause complete roof failure on many residences and industrial buildings, and some complete building failures with small utility buildings blown over or away. Collapse of many wide-span roofs and walls, especially those with no interior supports, is common. Very heavy and irreparable damage to many wood frame structures and total destruction to mobile/manufactured homes is prevalent. Only a few types of structures are capable of surviving intact, and only if located at least 3 to 5 miles (5 to 8 km) inland. They include office, condominium and apartment buildings and hotels that are of solid concrete or steel frame construction, public multi-story concrete parking garages, and residences that are made of either reinforced brick or concrete/cement block and have hipped roofs with slopes of no less than 35 degrees from horizontal and no overhangs of any kind, and if the windows are either made of hurricane resistant safety glass or covered with shutters. Storms of this intensity can be severely damaging. Storms reaching category 5 status and made landfall include the Labor Day Hurricane of 1935, the 1959 Mexico Hurricane, Camille in 1969, and Gilbert in 1988, Andrew in 1992, Dean, and Felix (Both 2007). If you need to report a claim please call: 800-598-7161 extension 2001. You may also report directly to your carrier but you may also contact us with any questions or concerns.